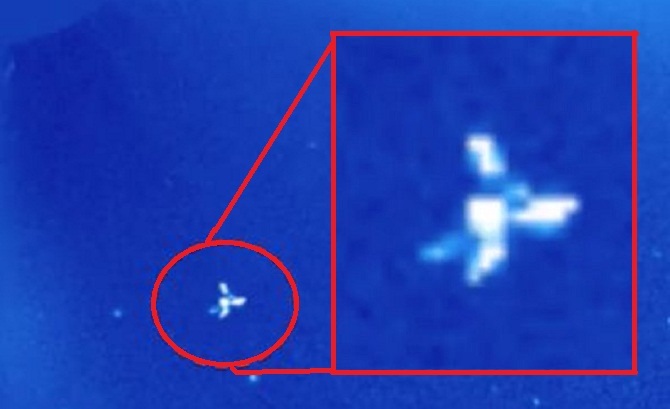 UFO hunter Streetcap1 claims he has detected in a recent LASCO C3 photo, a massive UFO with an intricate articulated design near our sun. The photograph was captured by the SOHO (Solar and Heliospheric Observatory) satellite in halo orbit around the Sun-Earth L1 gravitational balance point from where it transmits to Earth a continuous stream of near-real-time data about solar activity used to predict space weather in the vicinity of the sun. The alleged massive UFO, about the size of the moon, has a complex articulated design suggestive of a sophisticated craft built by a very advanced extraterrestrial technological civilization. 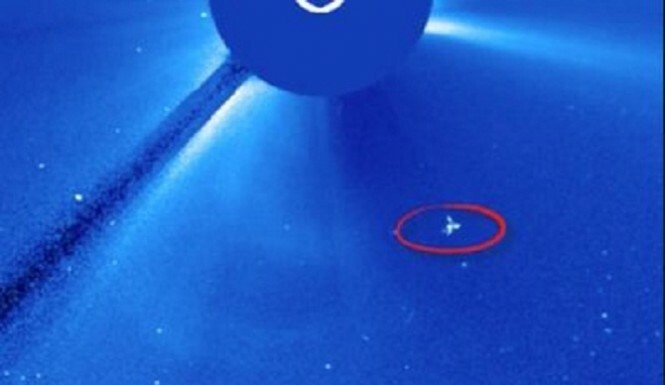 Scott Waring, editor of UFO Sightings Daily suggests that the appearance of the massive alien spacecraft near our sun could explain why NASA’s Helioviewer was down early this week. He alleges that when he finally got the Helioviewer to work, he discovered that the image of the UFO on the viewer had been blurred out. UFOlogists have accused NASA multiple times of deliberately attempting to hide evidence of alien UFO activity in our space locality. The explosion caused more than 40 pieces of debris to scatter into orbit.